Has Spain’s Podemos Party Squandered Its Prospects? While the Madrid-based leadership has been mired in factional infighting, regional representatives and allies offer inspiring alternatives. Chants for unity were constant at the party congress, implicitly scolding both protagonists of the internal division. Meanwhile, the conservative Partido Popular hosted its congress with little fanfare and near absolute predictability. 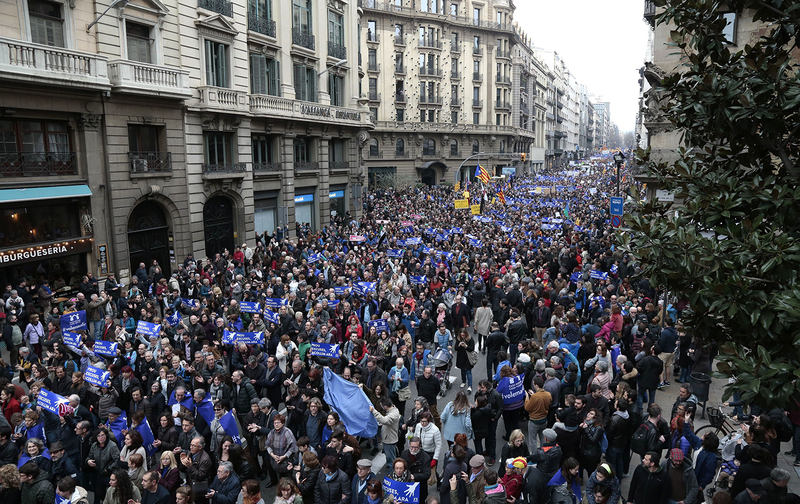 The same day that Podemos held its congress, Barcelona hosted Europe’s largest-ever protest in support of refugees.